Jill Scott is so charming. Girls’ High then Central High – Philly or course. 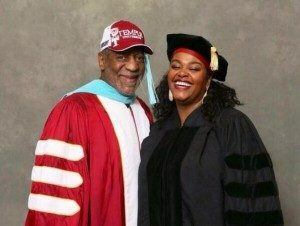 Brilliant as an actress, writer, entertainer and humanitarian – now Dr. Jill Scott. Then, Dr. West who is 99% of the reason why throats have been saved from caving in, received an honorary doctorate. Nearly every device that amplifies sound—including baby monitors, hearing aids, video cameras and telephones—is possible because of Dr. James Edward Maceo West’s extensive contributions to the field of acoustics. Off to the airport and Poughkeepsie. WOW! Your response with laughter, smiles and encouragement (i.e. applause) caused me to reach a wonderful level of performance (Things I had never seen myself do!). In a car to Staten Island, a theatre that is haunted – only backstage. The spirit of Poughkeepsie followed. Rode to Atlantic City and the Revel Hotel to be with 2200 people. Fit my comfort zone perfectly, leading me to share stories of my Philly childhood. The spirit of Poughkeepsie followed me to the Revel – WOW! Thank you, people. Thank you patrons. Thank you to all who love to laugh! 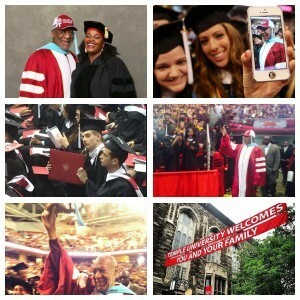 Annie’s first born and oldest child – William H. Cosby, Jr.